Woke on Water – Do you know your water? 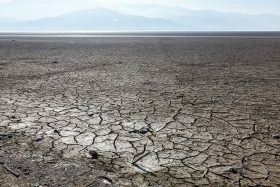 In the US and around the world, regions are experiencing water scarcity which is projected to increase. By 2020, the demand for water will be 40% higher than the water supply available. 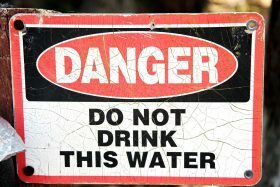 Industrial and natural contamination in water supplies results in illness and deaths. 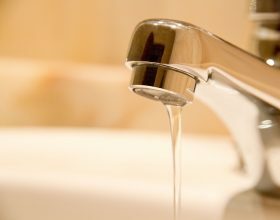 An estimated 50 percent of all hospital beds globally are occupied with patients suffering from water-related illnesses. 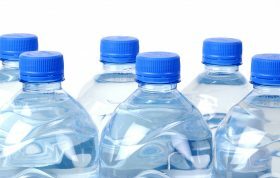 By 2020, the world will consume 465 billion liters of bottled water yearly. The production and disposal of plastic bottles from bottled water releases greenhouse gas emissions (an estimated 2% of all greenhouse gas emissions), significantly impacting the environment. Also in many parts of the world bottled water isn’t well regulated. An estimated 1.7 million people in the US lack access to safe water. This disproportionately hurts minorities and the economically disadvantaged. Each day in the United States there are over 750 water main breaks, 1 every 2 minutes. 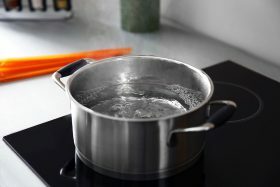 When centralized infrastructure fails but water continues flowing, households are advised to boil their water to “treat” contaminants. This costs time, money, and convenience.